Power shortage Not a technical ace and always lacking power is how this 10-inch tablet with everything needed for real world use otherwise presents itself to us. 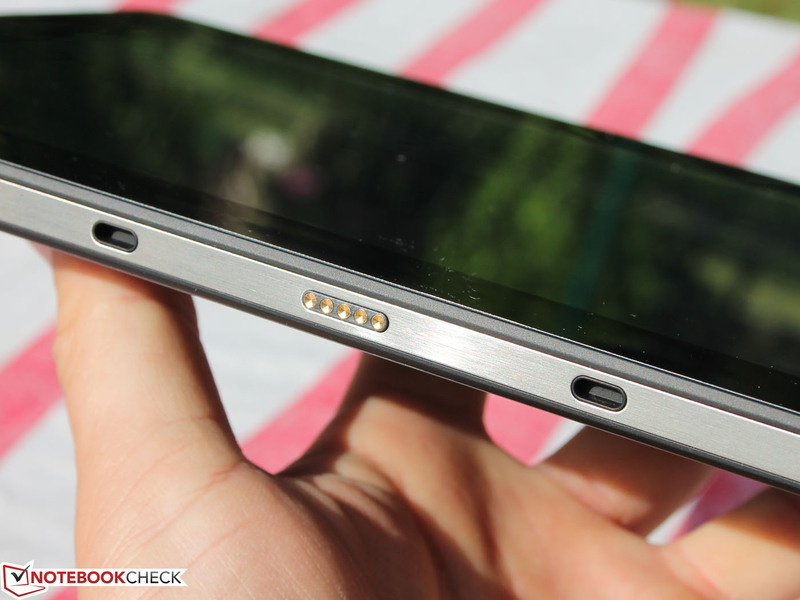 First to be mentioned: Two Type-A USB ports and a relatively fast system. Windows tablets still have an insignificant role on the market. One reason might be their high prices - hardly anything useful is found below 400 Euros (~$454) in this sector. That was different in 2014 and 2015: Diverse pocket Windows systems (6 to 10 inches) by Asus, Acer, Dell or even HP were found on the market. 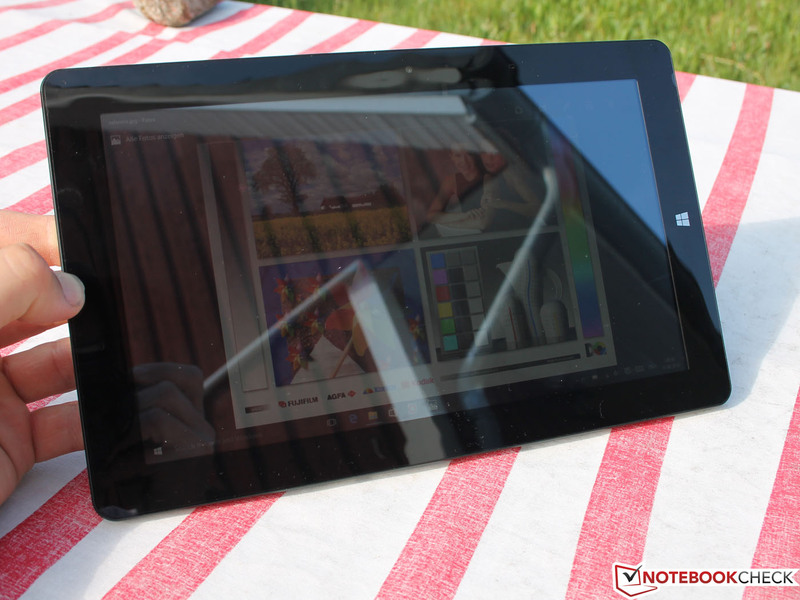 However, the market quickly noticed that combining Windows 8.1, tight storage (sometimes just 16 GB) and the sluggish Bay Trail Atom Z satisfied few users in the long run. Windows is still alive and kicking because convertibles with a stronger Core m or Core i SoCs have moved mainstream. 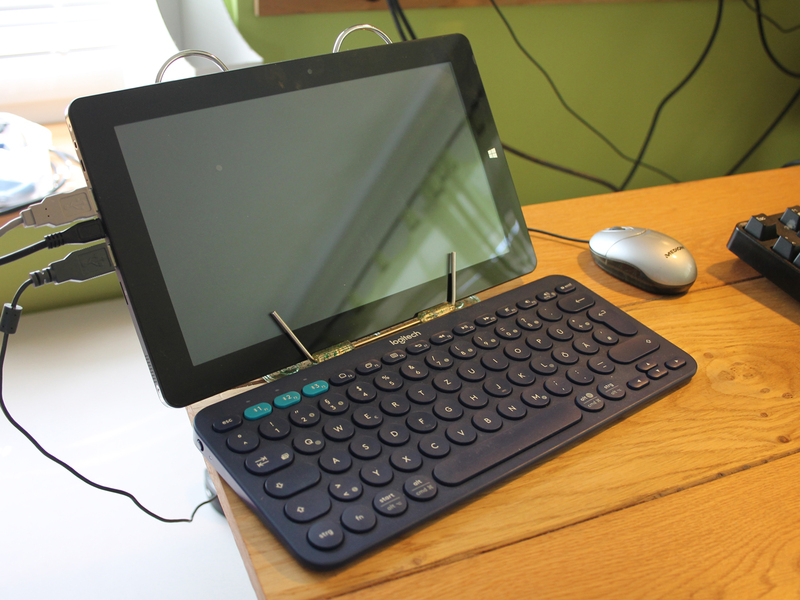 They offer a decent Windows operating speed, have input devices like in a laptop and even interfaces for peripherals. Intel's Cherry Trail quad-cores, such as the Z8300 (1.84 GHz) installed here, are the present entry-level SoCs to the Windows world. They provide a useful speed and enable low prices - apart from Microsoft's Surface 3 that still costs almost 600 Euros (~$681). 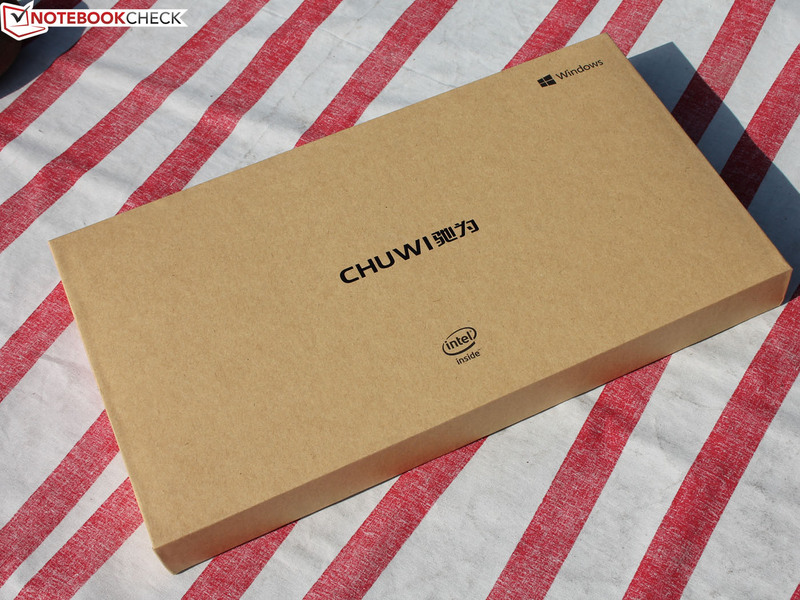 Our Chuwi Vi10 Ultimate 10.6 review sample carries a price of approximately 180 USD. It is not yet sold in Europe. 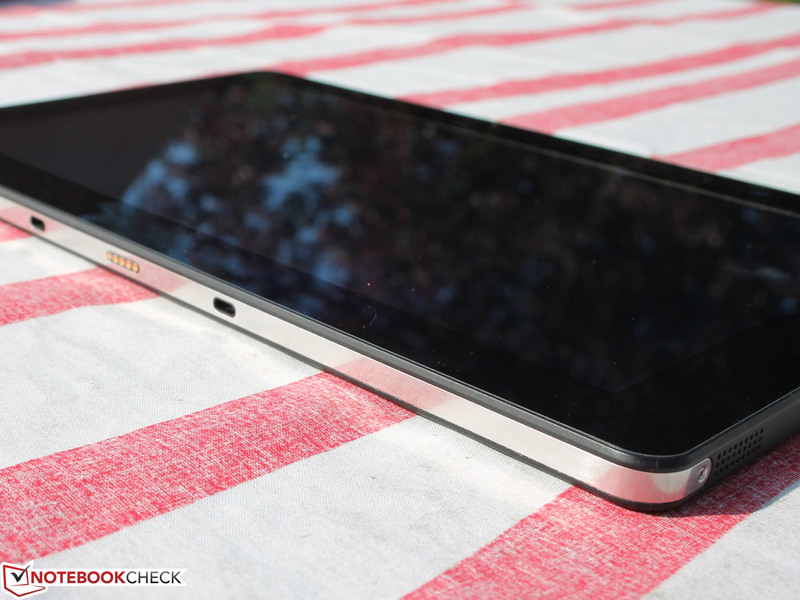 That, however, could change soon since Chuwi delivers decent features for little money. Of course, the HD resolution will not make Surface 3 users envious; 1366x768 pixels seem a bit outdated. But then, a total of two USB ports are present. 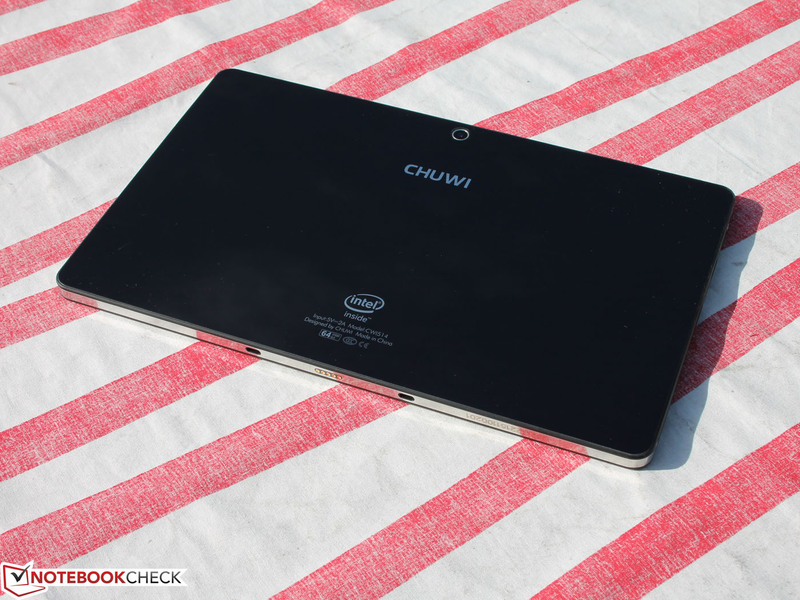 Chuwi's Vi10 Ultimate 10.6-inch tablet is certainly not a technical ace. The lack of a Type-C USB and USB 3.0 are a bit painful. 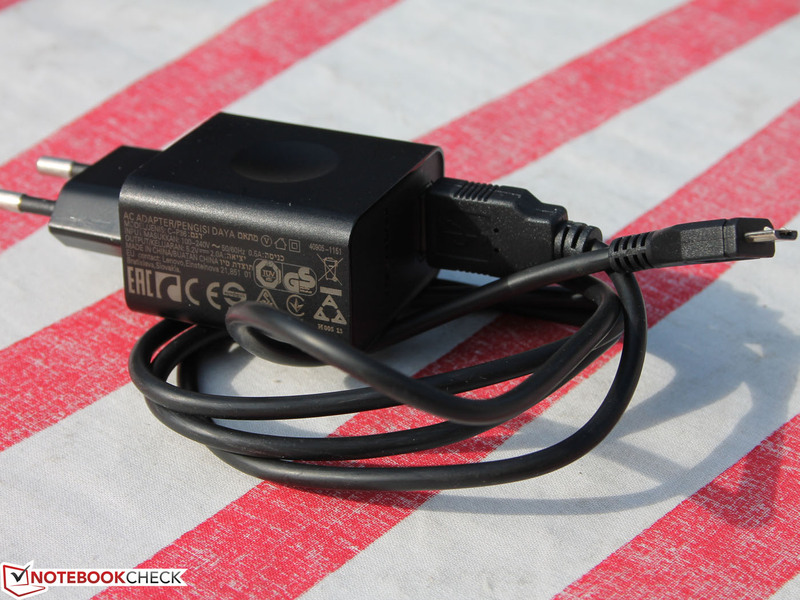 The unnecessary flaws like a power button that does not always respond immediately (cold start) and a self-discharging battery in standby when the power supply is connected also add to that. When the battery is fully depleted, it is not possible to reboot immediately either - the user has to wait until a capacity of 10% is reached, which takes about 20 minutes (disconnect and reconnect the power supply). The power consumption was also a bit confusing. The device consumed 4 watts in standby with a fully charged battery only to start fluctuating between 1 and 2.8 watts after a while. 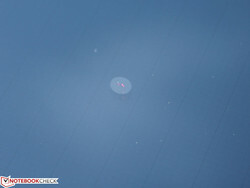 The same is seen in a shutdown state where it varied between 0.08 and 1.66 watts while it also consumed 4 watts at the beginning. Since our measurements also presented strange rates in idle mode (1.62 to 1.66 watts regardless of the brightness), we have to assume that the battery is permanently discharged - perhaps because the supply via the 5 volt micro-USB is insufficient. We did not use the original power supply due to the wrong plug, but ours had the same output of 5 volts, 2A. 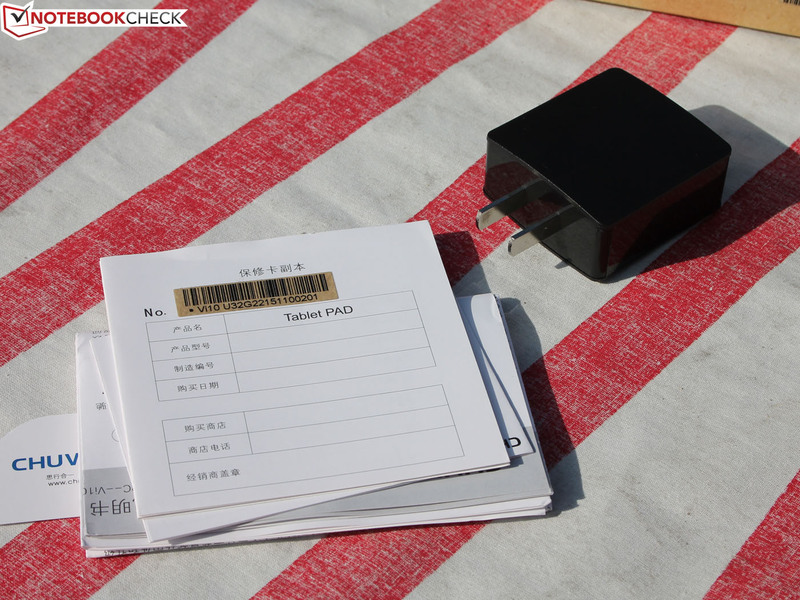 The runtime of around eight hours is very good, but the charger needs a full ten hours for recharging Chuwi's tablet when it is active (idle). The energy is altogether inadequate. 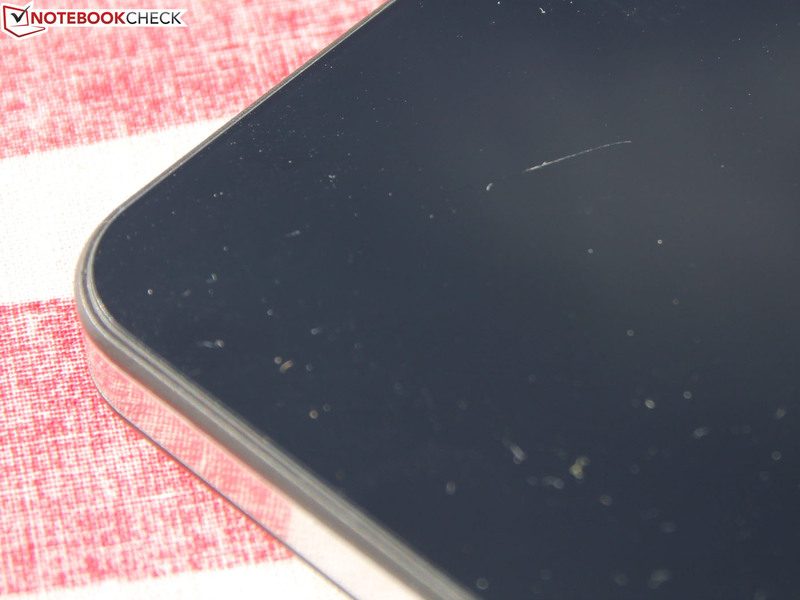 The air bubbles under the screen protector on the panel are unnecessary. We have not seen this for a long time. However, Chuwi's Vi10 Ultimate functioned impeccably in practical use with a USB port (port 1) and Bluetooth keyboard, and its low resolution of just 1366x768 pixels was not annoying. 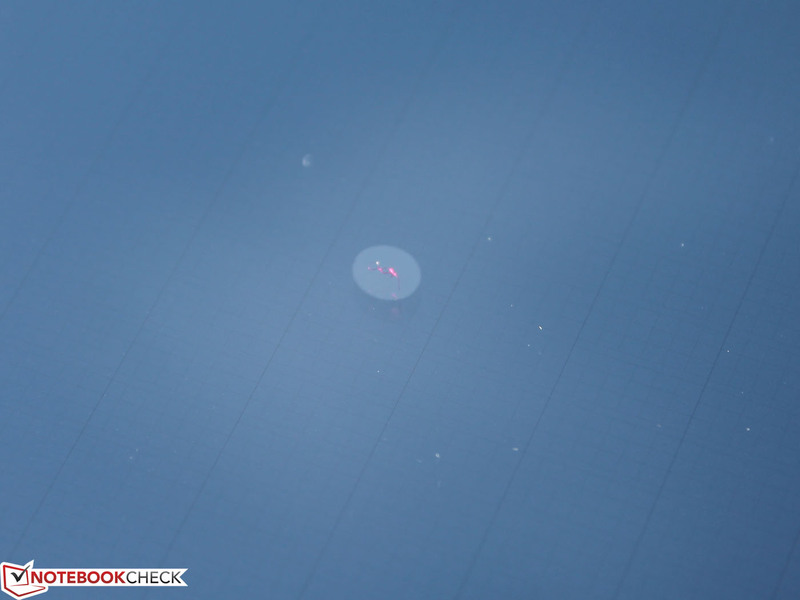 The system's setup is fast for a Cherry Trail device. That makes browsing through websites fun, and undemanding applications such as Outlook or Photoshop Elements run smoothly. 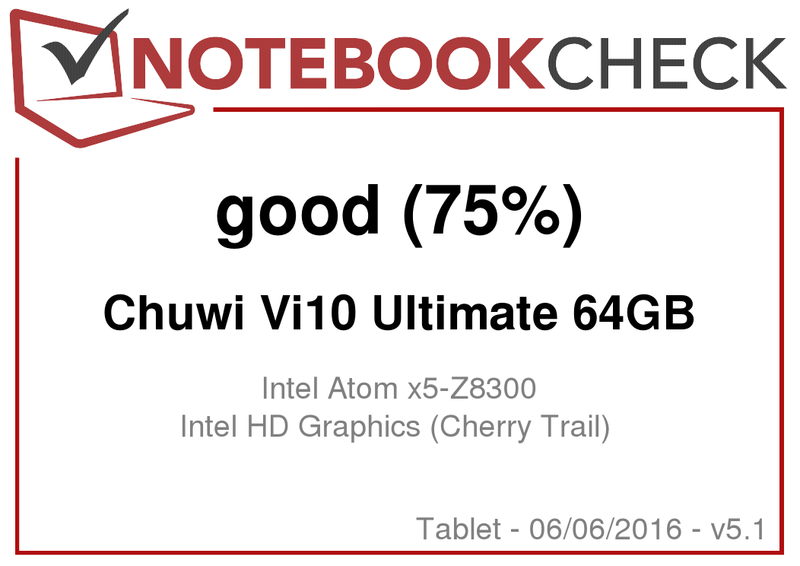 The listed flaws clearly show: Chuwi's Vi10 Ultimate is not a device that was built under the best quality monitoring conditions. 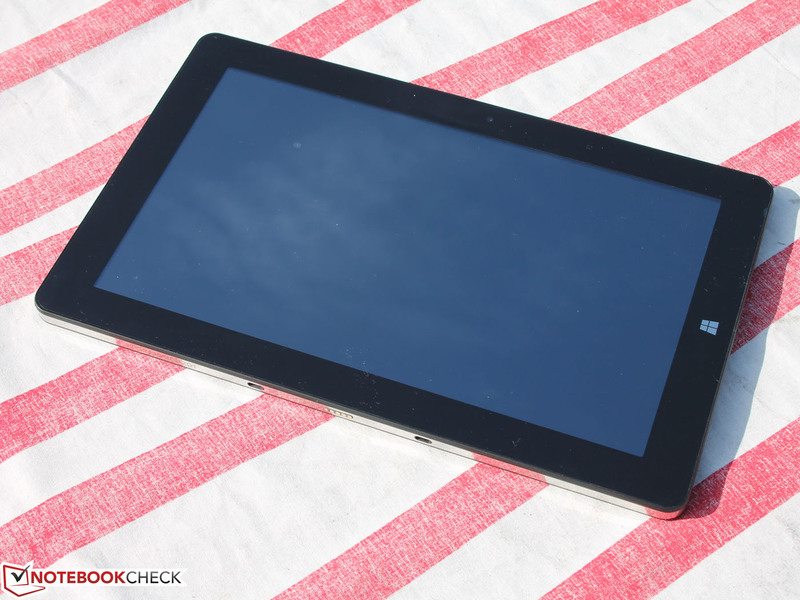 However, the price is a low barrier of entry, and the 10-inch tablet does its job when its shortcomings can be ignored.